The PDO Gran Riserva Leporati is the first Parma Ham to obtain a product certification. Choose the 22-24 dry cured, deboned and shankless version, ready to slice. The PDO Gran Riserva Leporati is the first Parma Ham to obtain a product certification. Only the finest pork thighs are used in its production, selected for their weight, thickness of fat and meat compactness. 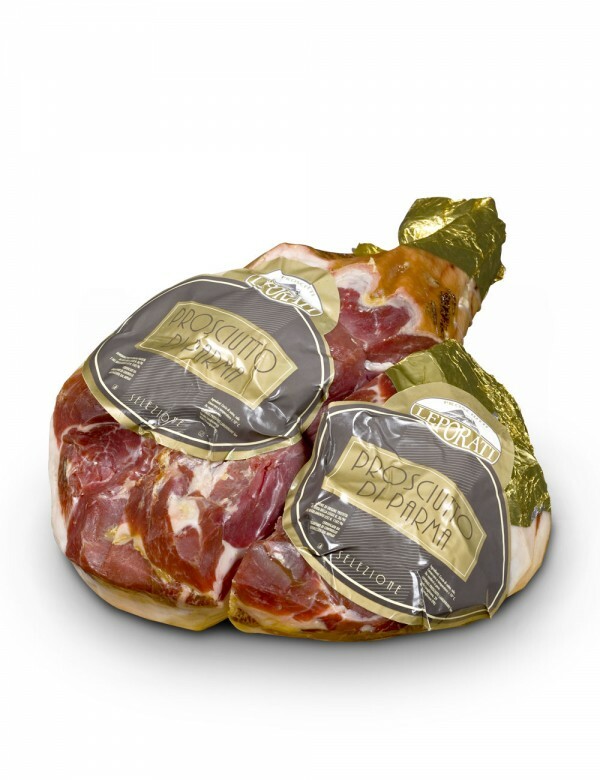 PDO Parma Ham is made exclusively from pure Italian pork and a pinch of salt. Free from preservatives or genetically modified ingredients. Quality ingredients, production methods and nature's helping hand: these are the secrets behind Parma Ham.